U.S. Specialty Insurance Company is a Texas-based property and casualty insurer whose business revolves around providing specialty insurance policies to various industries. The company is a wholly owned subsidiary of HCC Insurance Holdings Inc. and was founded in 1986. 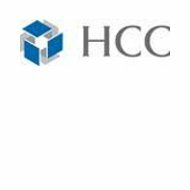 HCC dates its history back to 1974 when it began what has since turned into more than 37 years of exceptionally strong performance. HCC enjoys an “A+” rating from A.M. Best and an “AA” rating from Fitch. Enter your zip code into the box below and you’ll be amazed at the affordable health insurance rates you’ll be provided with. Yet this company deals only in specialty insurance products aimed at commercial clients. Therefore, any health insurance they do offer is in the form of specialty workers compensation through one of their three divisions. It should be noted that workers compensation insurance is a secondary policy is used to cover medical bills resulting from a workplace accident only after primary health insurance has been exhausted. Since workers compensation law varies from state to state, how U.S. Specialty administers these policies will differ accordingly. Where airports and hangers are concerned, the company can provide liability and property coverage for a single leased hangar or an entire airport operation. Where aircraft is concerned, the company provides full coverage for all types of aircraft – both privately and corporately owned. Coverage for damage or injuries because of a third party’s negligence. This type of specialty insurance covers many of the things that standard business insurance policies will not. This type of insurance is designed for all of those odd expenses owners of trucking operations don’t normally think of. Although it’s not the norm for specialty insurance companies to utilize independent agents, U.S. Specialty does just that. Their PEI insurance is available only in Texas, but the rest of their products are utilized nationwide. The company maintains a separate website for each division, meaning you’ll need to visit the specific site if you want to use that division’s dedicated agent locator tool. For each type of insurance, you simply enter your zip code; click a button, and the tool returns to you a list of agents within a specified area. Using independent agents is common among insurance companies operating at the consumer level. But the same benefits it offers them it also provides specialty insurance company like U.S. Specialty. Independent agents are able to compare a number of different policies before offering their customers the best deal, which makes for healthy competition and a good relationship between insurance company and customer. U.S. Specialty and HCC both enjoy very favorable ratings from the nation’s top rating services, as mentioned earlier in this article. These consistently high ratings demonstrate the company is on firm financial footing and well poised for future growth and stability. Underscoring those high ratings are financial records filed by the company at the end of the 2010 fiscal year. Those records show U.S. Specialty with working capital of $4 million, a policy surplus of $309 million, and total assets in excess of $1.16 billion. You can now easily search for competitive health insurance quotes online by entering your ZIP code below.